Ariston Holiday Residence of Marina di Ravenna establishes itself as the ideal destination for those who wish a holiday rich in relax and in close contact with nature together with family or dearest friends. 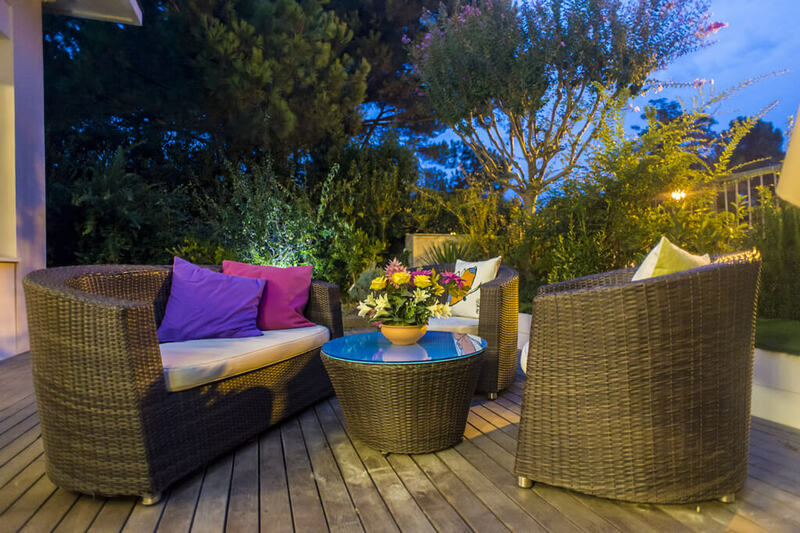 This recently renovated property offers spacious,modern and well-lit environments and is plunged into a century-old pinewood forest lying in a peaceful and silent area only 50 meters from the sea and private beach. 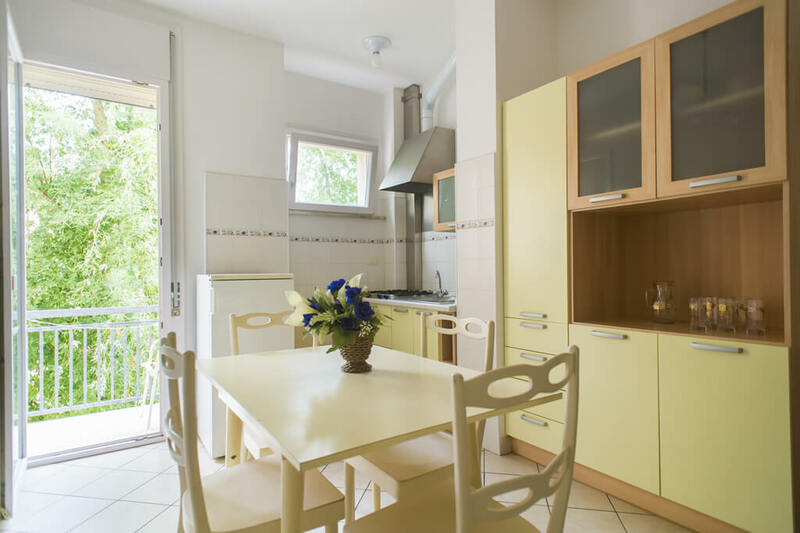 The apartments, connected by an elevator, are all equipped with services such as a fenced and shaded indoor car park, Wi-Fi, a safe deposit box, a shower box with hairdryer, a furnished kitchenette with dishwasher and spacious balconies. 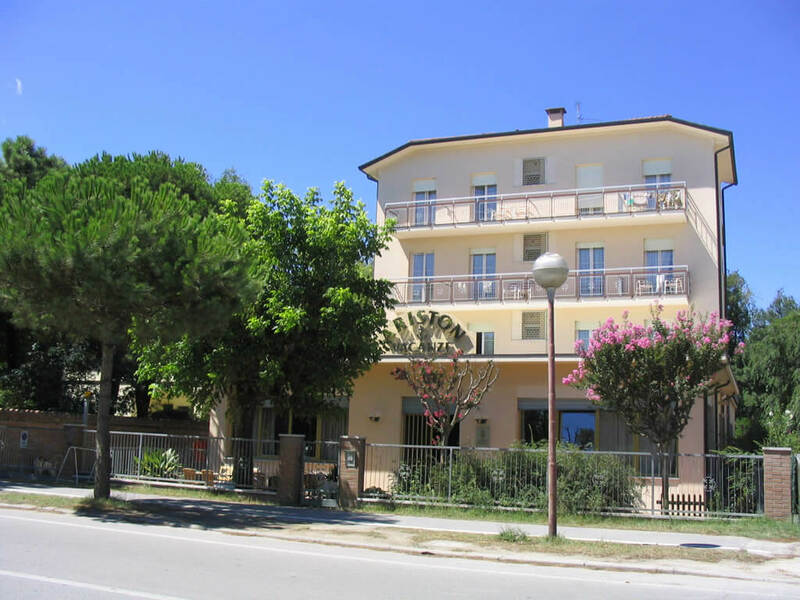 Ariston Holiday Residence is much appreciated by families with children who take advantage of dedicated services and a location a stone’s throw from the sea that can safely be reached either on foot or by bike. The beach features a slightly sloping coastline that lets children enjoy a safe swim. The residence also provides a game room for the fun of our baby guests while nearby is a nice public park where children can get wild. The young and dynamic family management that has been renewed throughout three generations extends guests the warm welcome Romagna has always stood for and services designed with an eye to details to meet every hospitality need. Ariston Holiday Residence is strategically located as you can shortly reach places of great historic and artistic interest like Ravenna or some of the best known parks around the Adriatic Coast such as Mirabilandia and the Safari Zoo as well as Milano Marittima to step into the trendiest summer nightlife.